We teach family historians and individuals how to organize and store their photographs, documents, and artifacts so they will last as long as possible and create a legacy for future generations by giving free library lectures, full-day workshops, writing memoir classes and personal consultations. 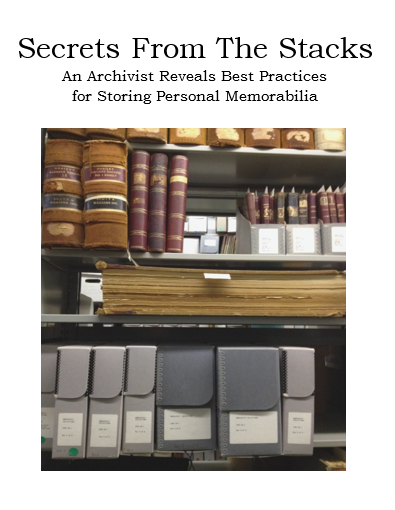 In Secrets From The Stacks, Rhonda shows the layperson how to archive their personal materials for long-term preservation. Learn more and view all events. This is such a wonderful thing you are doing! I love your logo and the website is very well done. Good luck on this venture!